In Part 2 of these Chronicles I went a bit too fast, and jumped directly from the RA meeting of 7 September 2008 to the CDS Birthday and Oktoberfest, which began on 20 September. But there was an RA meeting on 14 September which I forgot to cover. So we must go back and pick it up. The 14 September RA meeting was a short one. It began with a motion to approve the 9th term budget which had been proposed by Chancellor Jamie Palisades in the previous meeting. The budget was voted and passed unanimously, in the blink of an eye. The next item was the so-often-tabled discussion of the Commerce Bill. Justice Soothsayer had posted a new Commercial Development Bill, which was significantly different from the previous ones, although it included elements taken from them. The new bill set aside a budget of L$25,000 for the Chancellor to hire an experienced business consultant to develop a promotional plan for CDS commercial activity, including services as well as retail business. The bill also provided that 15% of all commercial plots would be allocated by competition among citizens who filed for new business development. Citizens winning the competition would be able to lease a plot for six months at 50% of the tier rate without having to buy it, at the end of which they could buy it if they wished. The provisions in the previous bill providing for rent surcharges were repealed. In the same thread Jamie had commented on Justice's new bill, and suggested some revisions. Justice said he could accept Jamie's version, except for his proposed section 2, where "substantial activity" was to be measured either in terms of (a) updates installed on site, or (b) demonstration of substantial volume of transactions, or (c) SL traffic count. Both Justice and Arria Perrault felt that this section, and the idea of measuring commercial activity at all, should simply be eliminated. To support this position, Justice cited a post by Soro Dagostino who had purchased a property in the commercial zone, but had decided to pull out when he learned that the rental price would rise if his lot was short on traffic. Justice passed out a revised version of the bill, incorporating his deletion and adding a sunset clause. But Arria still wanted to add that some plots could be rented to non-citizens. Flyingroc noted that the bill did state that one had to be a citizen in order to participate in the competition. Flyingroc suggested that they could just give citizenship to the winner of the contest, but Patroklus asked what would happen after 6 months if they declined to buy the plot. Bells Semyorka wanted to know whether big designers would in fact want to rent space in CDS, and expressed the opinion that citizenship was not a prize to be won. When the vote on Justice's revised version was called, it passed 5 to 0, with 2 RA members absent. Arria stated that she voted mainly because the new bill repealed the surcharge. The meeting was adjourned. On 20 September the CDS Birthday and Oktoberfest began, as told in CDS Chronicles Part 2. The RA meeting of 28 September began with the monthly Chancellor's report. Jamie first took up with appointments: Sonja Strom had agreed to serve as one the land caretakers. Jamie next addressed land sales. Locus Amoenus plots were selling at a slow speed, which seemed a combined effect of real life economics (and the crash of October was yet to come!) and Linden Lab's odd land policies (the OpenSpaces boom was in full swing). Jamie concluded that any expansion plans should be grounded in positive cash flow projections. Arria again plugged her proposal to let people rent rather than buy CDS land. Jamie also suggested the formation of a volunteer citizen recruitment team to go out and evangelise for CDS, in search of new members. Jamie observed that the land groups and permission were in a mess, and mentioned that he was in the process of cleaning up certain SL groups pertinent to CDS. The groups, together with who is "estate manager" on each sim, control many matters, such as who can eject or freeze intruders, remedy bad prims or backup community builds. CDS still maintained permissions for many former citizens, like a company with high turnover that never bothered to change the door keys. A related issue was covenant enforcement. The level of complaints was low, maybe one sim each month, which allows Jamie to deal with both accuser and alleged violator direction and offline. The resolution of problems (without mentioning names) is posted to the forum section entitled Executive Branch Announcements. On the subject of land management, Arria suggested that the rental fees are poorly indicated in the covenant in the "About Land" window. Jamie admitted that the law that permits resetting of the fees creates a certain vagueness, and suggested that Sudane should be consulted on this question. Jamie then addressed events, starting with the ongoing Oktoberfest, which was half-over. Rose mentioned that she was taking down the parade floats the same day, and encouraged everyone who'd not seen them to do so. The next event mentioned was Burning Life, where CDS had an unofficial camp. The next item on the agenda was the carry-over of the discussion on Claude Desmoulin's Flag Bill. There had been discussion of modifying the CDS flag by adding a new star each time a sim was added, but Claude suggested stopping at three stars, to represent the three branches of CDS government (representative, philosophic, and executive). The flag issue seemed to require further reflection, so the discussion moved on to the next agenda item, which Arria's webmaster proposal. Arria's proposal outlined the webmaster's tasks, including: to own the domain name on behalf of CDS, to be contractor for the hosting, to update the Content Management System (CMS), to implement the design template and to manage the users (accounts and permissions). Rubaiyat Shatner added that the webmaster should also be responsible for making regular backups of the portal (and the old websites that it replaces). Justice asked Arria and Jamie to post a draft bill on the forum for discussion, and the matter was tabled. Discussion then began on Arria's other proposal, which was to move the Monastery to a void sim (or more exactly, to an OpenSpace sim). The Monastery, situated on the Alpine Meadows sim, was managed by an NGO called Virtus. Arria wanted to move it to a void sim, and to surround it with 6 small plots with cottages and a few prims, which would be rented out to owners who would share the Monastery for their personal projects. 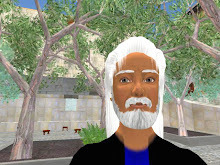 Since a void sim could only be bought by the owner of a regular sim, Arria wanted CDS to buy the void sim for the Monastery project, which would thus remain within CDS. Jamie replied that there seemed to be within the CDS legal framework four ways of adding new sims, as he had set out unofficially in a forum post on how sim expansion decisions work in CDS. 1) The traditional sim expansion process, used for Colonia Nova and Alpine Meadow, under which open contests were held for the design of a new "theme". 2) The In-Theme Expansion Act, which allows the New Guild to pilot the development of a new sim on an existing theme, under the CDS Master Plan. This process was used for Locus Amoenus, which extended the roman theme of Colonia Nova. 3) Private Expansion under Beathan Vale's Private Development Bill. In the first two expansion methods CDS takes the entire financial risk and the New Guild controls the design. Under Beathan's proposal a private party submits a plan to the Chancellor and takes the financial risk of developing a sim which federates with CDS. 4) Any other way the RA decides. Jamie suggested that Arria's project was an instance of Beathan's Private Development route, since her group would be bringing their own sim to CDS. However, it was private development with a twist, since to buy a void you must own a sim already, which Arria's group did not, and CDS would have to support the risk of the new sim failing to pay. Under Beathan's bill, the CDS was never to take the title of the sim, which would remain with the developers. Gwyneth observed that if CDS owned the Monastery from the beginning, it would logically rent it to Arria's group, in the sense of giving a deed. Only there would be no public announcement of available plots. Rubaiyat agreed that the problem could probably be solved by making some sort of sub-letting contract. Jamie replied that in this case Beathan's bill failed to apply, since no independent developer was taking the risk. Jamie added that the project would in any case require coordination with the Guild and approval by the RA, which makes it more like traditional CDS sim expansion. There seemed to be general agreement that Arria's proposal would present less risk that the traditional CDS sim expansion, because the cost for both acquisition and tier were much lower for a void sim. But there was a question of whether the land rents from the 6 tenants would be split between Virtus and CDS. Arria replied that there were two possibilities: (1) Monastery tenants would pay directly to CDS and become citizens, or (2) Virtus pays as a group and rents to tenants who remain non-citizens. Cindy Ecksol observed that this would pose the problem of how members of the Monastery group would relate to CDS. Gwyneth preferred the first solution, in which all members of the Monastery group were CDS citizens, and Cindy agreed. Justice noted that they were out of time, and that an in-world soccer game was waiting, so the meeting was adjourned.